Here are four new Nevada history books we recently found — or that recently found us. We wanted to share in hopes they follow you home, too! Nevada State Orphans/Children’s Home: My Life as a “Home” Kid, by Bonnie Boice Nishikawa – Lovingly told by a real-life “Home” kid who lived at Carson City’s Orphan’s Home from 1942 to 1955, this is not only a true personal story but the story of the amazing Children’s Home itself — a Nevada institution that gave shelter and nurturing to orphans and half-orphans from 1870 to 1992. A great story about thriving despite tragedy, and how a few caring individuals can change a life. Dayton, Nevada, by Laura Tennant and Jack Folmar – The story of Dayton, told (as Arcadia Publishing does so beautifully) in vintage pictures with well-researched captions. Fabulous illustrations include what might be the original trading post built along the Emigrant Trail; the old town itself as it looked in the late-1800s; and a photo of one-handed Otto Schroder around 1902 in front of his Old Sazarac Saloon (Otto’s left hand was amputated as a result of a fight involving another man’s ex-wife). Everything you never knew about this gold discovery town, by a noted Dayton historian/journalist. Sparks, Nevada, by Joyce M. Cox – This lavishly-illustrated Arcadia history of Sparks (Nevada’s fifth largest town) shares charming rare photos from the Sparks Heritage Foundation, Nevada Historical Society, and several private collections. Our favorites: the ruins thought to be the very first trading post (established in 1852 by H.H. Jamison); freight wagons moving entire buildings from Wadsworth to begin the new town; and a 1907 auto-stage bedecked with dangling fringe and rear-facing wicker seat for pampered passengers. 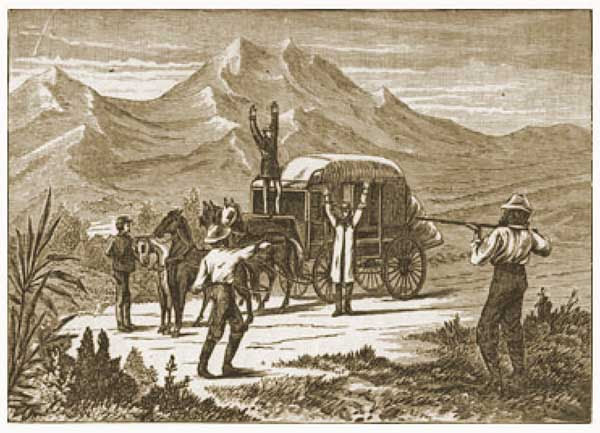 It was 1863 when a lone highwayman stepped out to stop the stage near Double Springs, Nevada. Whether it was sheer luck or courtesy of an inside scoop, the robber hit payday: the heavily-laden coach was carrying some $17,000 in gold coin on its route between Aurora and Carson. Naturally, the robber couldn’t get too far hauling all that gold! But like all good criminals, he’d thought ahead: he brought along a shovel. And somewhere in the flats not far from Double Spring, the robber dug a hole and buried his loot. The authorities, of course, were hard on the robber’s heels. Before long, he found himself cooling those heels in Nevada’s state prison. There the bandit finally died. And although he kept his secret almost to the end, on his death-bed he finally described the spot where he’d buried all that loot he couldn’t take with him into the next life. 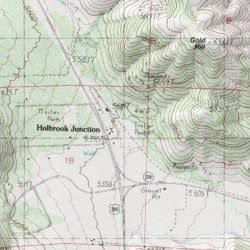 Mountain House was a way station just north of today’s Holbrook Junction. A rest stop with tables and a group of tall trees still mark the spot where this way station once stood, on the west side of Highway 395 . According to the robber, the spot where his loot was buried was near a small cabin south of Double Spring, roughly a mile and a half north of another old way station called Mountain House. 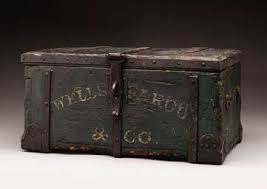 Many looked for the treasure through the years, but none have yet found it — and not for lack of trying! “The ground in the vicinity looks like an artichoke patch deserted by a drove of swine,” the Genoa Weekly Courier observed in 1891. 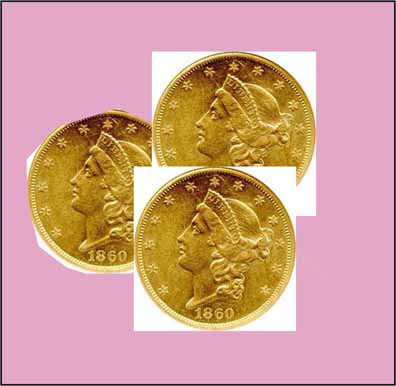 In 1891, Genoa resident Henry Rice “saw” the spot where the treasure was hiding in a dream. Dragging along friend William Parsons and several young ladies for company, he eagerly rushed out to identify the spot. The prospectors’ hopes were soon dashed when they discovered that there were, sadly, “a hundred places that looked just like the one revealed in [Rice’s] dream.” By way of consolation they continued on to Walker River, where they settled for the ‘treasure’ of a grand picnic lunch. Others, too, would try their hand at finding the robber’s loot through the years. One local named George Dale was said to have “dug up a good-sized ranch in the vain effort.” Charley Holbrook was so convinced his divining rod had pinpointed the loot that he dug a 28-foot deep shaft before finally concluding that he must be in the wrong spot. All of which is, presumably, good news for modern-day treasure-seekers! That is, if you believe the old legend, the lost stagecoach gold must still be there somewhere not far from Double Springs. Reminder: It’s not 1891 anymore! Please don’t trespass or go digging unless you get permission from the property owner first! Whatever became of James C. Dean? No, not that James Dean. We’re talking 1864. As we saw in Part 1, the person who murdered Fannie Dean at Double Springs Ranch that year wasn’t much of a mystery — at least as far as the neighbors were concerned. Fannie’s husband, station-keeper James C. Dean, was quickly whisked into custody by the authorities. But proof was another matter. 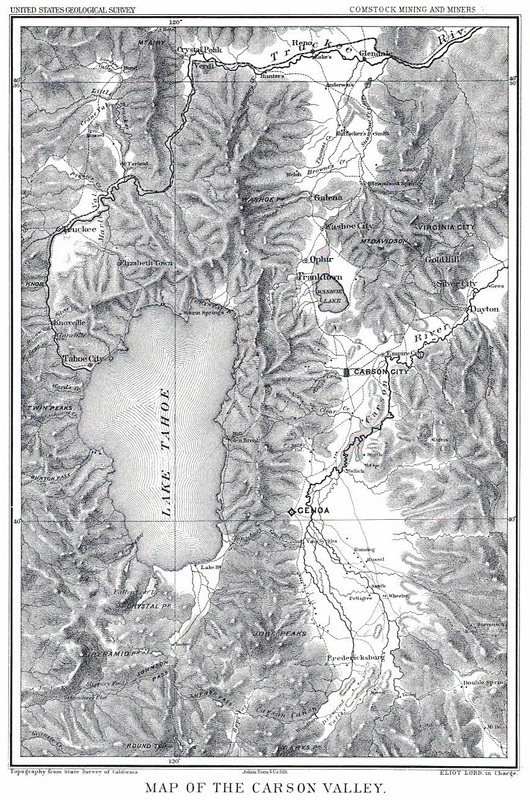 Early map showing Double Springs at lower right. As the suspect pointed out, the Station was on a well-traveled road; riff-raff came and went. It could have been anyone who stuffed poor Fannie Dean’s head into a bucket of water! With no definitive evidence to tie him to the murder, Dean was eventually released. Might there have been other reasons for Dean’s get-out-of-jail-free card, as well? It’s hard to know, 150 years later. But our guess is that Fannie’s demise occurred after her husband had become Mammoth district Justice of the Peace — if only because a murder suspect wouldn’t normally be anyone’s top pick for an open judicial post. As a local notable, was Dean able to perhaps pull a string or two? However it happened, Dean was once again a free man. But local minds hung onto their suspicions. It was an opportune time for Dean to (as they say in the Westerns) get out of Dodge. And get out he did. Not long after Fannie’s death, Dean ran for Justice of the Peace in the nearby Walker River precinct, winning the election in November 1865. That same October and November Dean was advertising his Double Spring Station for sale in the Douglas Banner, and he soon found a buyer: rancher P.L. Sprague (Sprague, in turn, would sell the Double Spring ranch to T.B. 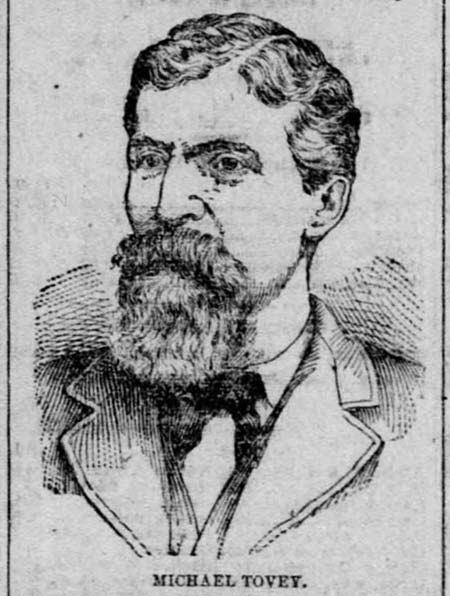 Rickey in 1883 and move to Sheridan). So, whatever became of the James C. Dean once he left Double Springs? Traces of his trail are few and far between, but we did manage to pick up a few breadcrumbs. Dean turns up in Hamilton, White Pine County, Nevada, in April, 1869, marrying a second wife, Theresa Dirks. Theresa was a savvy divorcee with a mind of her own — and, perhaps more appealing to Dean, property of her own. Theresa owned real estate in San Francisco and Hamilton City, Nevada, plus a boardinghouse and home in Virginia City (at 90 South D Street and 91 South C Street respectively). But her second husband, Dean, wasn’t cut out to be marriage material it seems. 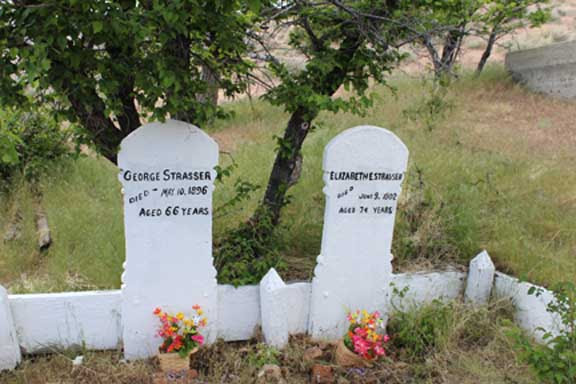 He and Theresa were divorced in February, 1872, just three quick years after their wedding. Theresa may not have been the steadiest marriage partner either; she remarried yet again on June 3, 1872, just a few months after divorcing Dean — her third marriage. Was Dean something of a smooth-talker, blessed with the gift of gab? We may never know for sure. But in his early life, he was a lawyer, if that tells you anything. 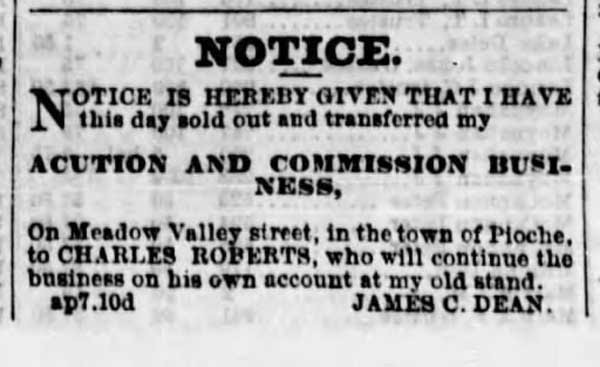 Yet another suggestion that his tongue may have been well-oiled comes from Dean’s later profession: by 1873, he was operating an auction business in Pioche. Dean ran an “Auction and Commission” business in Pioche, which he sold in 1874. 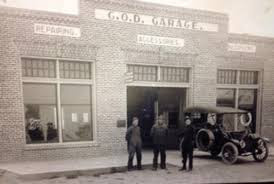 In 1880, Dean shows up in Eureka, Nevada, again working as an auctioneer. 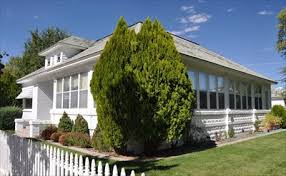 He’s listed as single, and is sharing a house with E.H. Dean, the same ne’er-do-well relative whose accountings were found somewhat less than satisfactory when he served as Lyon County’s treasurer. 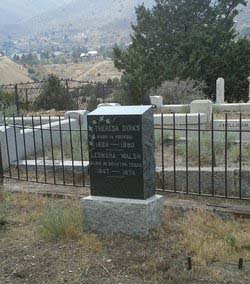 Theresa Dirks and her daughter, Leonora, are buried at Virginia City. Dean’s ex-wife, Theresa, and her third husband Robert Charles (a banker) were back in Virginia City by this time, residing in her house at 91 South C Street. 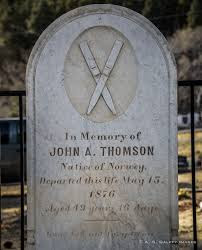 Theresa died that same year (1880) and is buried under her first husband’s name (Dirks) at the Silver Terrace Cemetery, along with her daughter, Leonora. 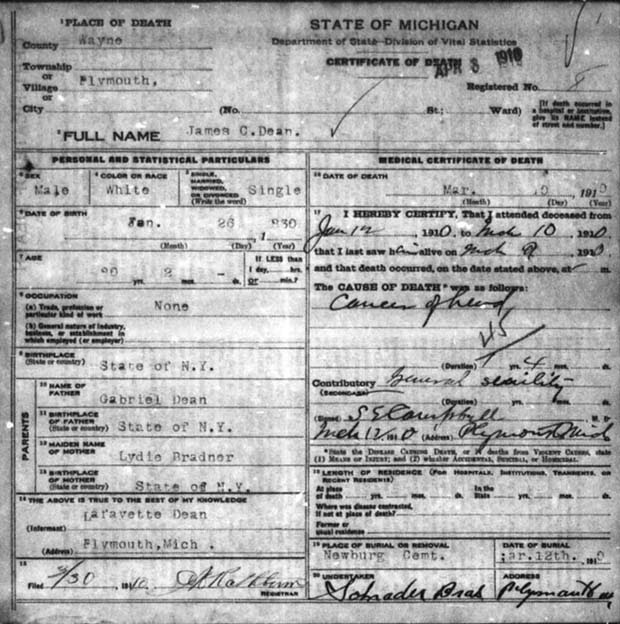 Death certificate for James Calhoun Dean, who died in 1910. 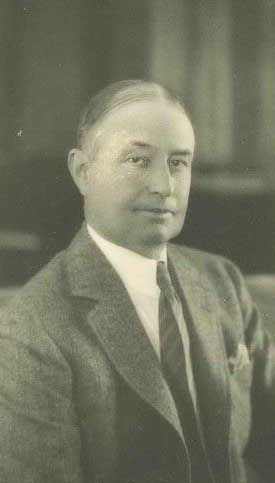 Just possibly James C. Dean of Double Springs. If “our” J.C. Dean is the same man, this would be a picture of the infamous Double Springs proprietor himself! There are definite similarities besides the common middle initial: both men were born in New York; their birth years roughly match; and James Calhoun Dean had been out west before returning to Michigan. For now, at least, we’ll leave the possibility that this is our Double Springs Dean in the “good guess” category. 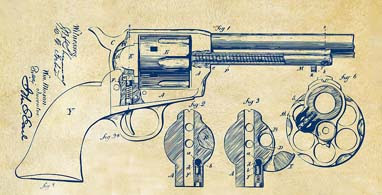 But the best part of the Double Springs story is yet to come in Part 3 — a stagecoach robbery . . . and a buried treasure! Enjoyed this story? Leave us a comment below! And we’d love it if you share this tale with your friends on Facebook! 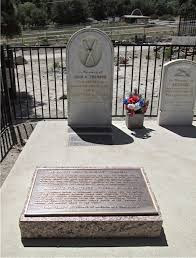 Today there’s little to mark the site of Double Springs, Nevada, roughly a dozen miles south of Gardnerville on Highway 395. All that’s left is just a historical plaque plus remnants of an old fence line and cattle trough. But a century-and-a-half ago, Double Springs was not only well-known — it was notorious! An early hotel here beside the toll road to Aurora and Bodie offered travelers meals, beds, and pasture. A fluke of climate or simple bad luck, Double Springs was also the site of several early murders. And, because all good tales include a treasure story, there’s also a hidden treasure legend involving Double Springs! The pair of springs for which Double Springs was named made this a valued spot for Native Americans back in the early-early days. Round dances were held here in both spring and fall, with prayers for the health of the pinenut trees and celebrations for abundant harvests. These huge events sometimes included up to 500 Native Americans, and pinenut harvests could last as long as six weeks. The site’s earliest recorded name, “Round Tent Ranch,” may have reflected these Native American celebrations. This may be the same James C. Dean who once owned Double Springs station. In 1861, rancher S.D. Fairchild claimed 320 acres here, erecting a hotel, stable, and barn. H.W. 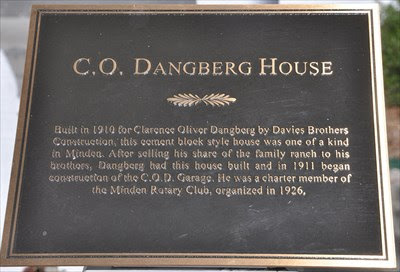 Bagley owned the property briefly, then sold it to James C. Dean about 1863. And here our tale takes a turn for the murderous! 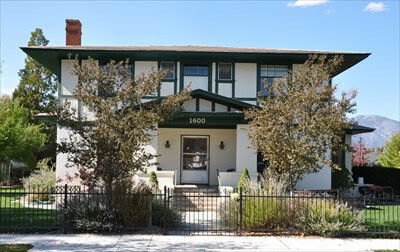 Despite this brouhaha, Dean’s Genoa home became the site where the very first meeting of the Douglas County Commissioners was convened just after Christmas, December 28, 1861. 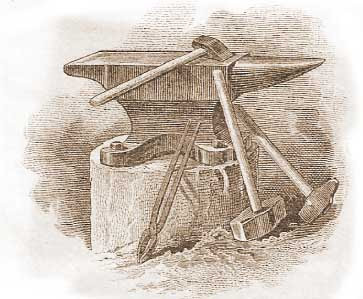 Dean also was honored by being elected to serve in the Nevada Territorial Legislature’s House of Representatives in September, 1863, as a proud member of the Union Party. 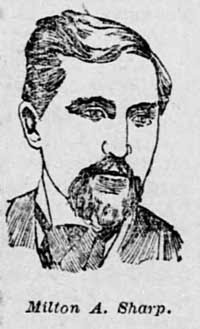 Edwin Dean (possibly a cousin or younger brother of James) also briefly held elected office in early Nevada. Ed Dean became Lyon County Treasurer in September, 1864, only to resign in disgrace a little over a year later when his books disclosed a $2,484 shortfall. 1881 map showing Double Springs at the intersection of two roads. (Nevada Division of State Lands & UNR’s DeLaMare Library). Dean’s Hotel was conveniently located at the junction of the cross-valley Olds Toll Road and the north/south Bryon’s Toll Road. Travelers to Bodie or Aurora could feed their horses on hay grown at the ranch, grab a meal, or spend the night at the hotel. 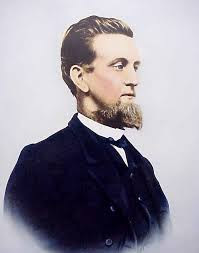 Dean was appointed to fill a vacancy for Justice of the Peace for the Mammoth Precinct on December 5, 1864, with a member of the Olds family making the motion for Dean’s appointment. The historical marker at Double Springs. Many later accounts suggest Dean was the murderer, though it appears he was never convicted of the crime. Sometime around 1864, however, Dean’s wife, Fannie, came to a tragic end at the Double Springs station. 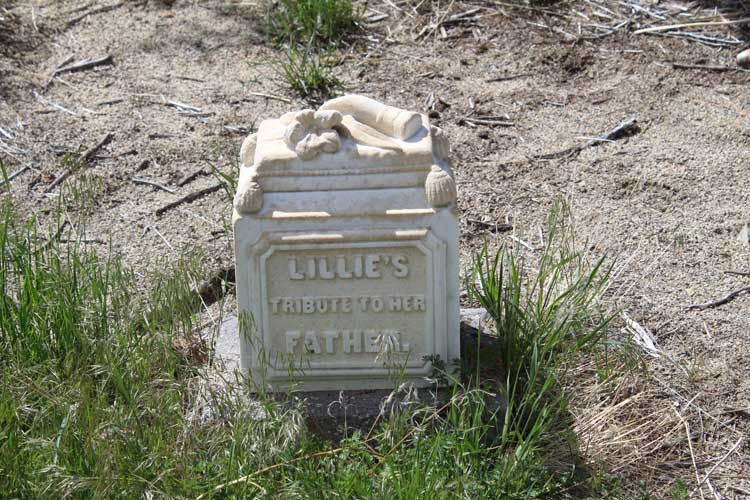 A passing teamster found the house suspiciously quiet and, upon investigating, discovered Fannie’s lifeless body. She had been severely beaten and her head then “jammed into a bucket of water.” Dean was arrested by the local sheriff, but denied the murder. Dean’s hotel was only about two miles from Slinkard’s, and transients and travelers came and went on the road by the station. As Dean pointed out, it could have been anyone who murdered Fannie Dean. Neighbors “were not satisfied with the story told,” as the Record Courier later put it. But given the lack of evidence on which to hold him, Dean was finally released. Nevertheless, the story persisted for years that Dean himself had committed the murder. By the following year, October, 1865, Dean was advertising his Double Springs property for sale. And it wasn’t cheap: for his house, barn, blacksmith shop and 600 acres of land, Dean wanted $1,500, half down and the balance in just six months. 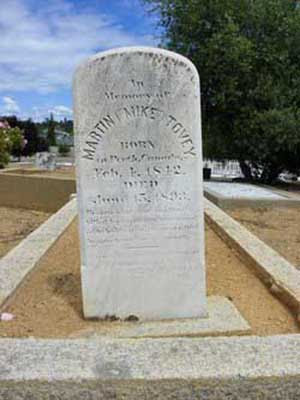 But he clearly was ready to move on; in November, 1865, he managed to get himself elected Justice of the Peace for the Walker River Precinct to the south. Fannie’s death, as it turned out, would not be the end of “notorious” murders at Double Springs. 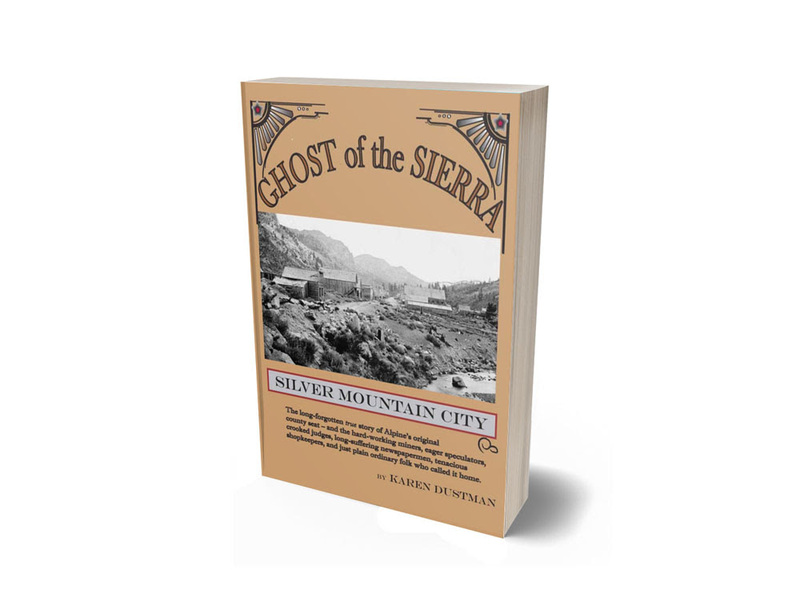 In November, 1881, another body was discovered in a small cabin about three miles south of the old station. E.A. 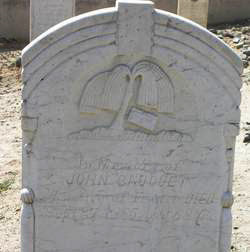 Doud, about 65 years old, had once been an Alpine County rancher and member of the Board of Supervisors. He’d sold his Alpine ranch about 1873, taking up residence in a 10’ x 12’ cabin not far from Double Springs. 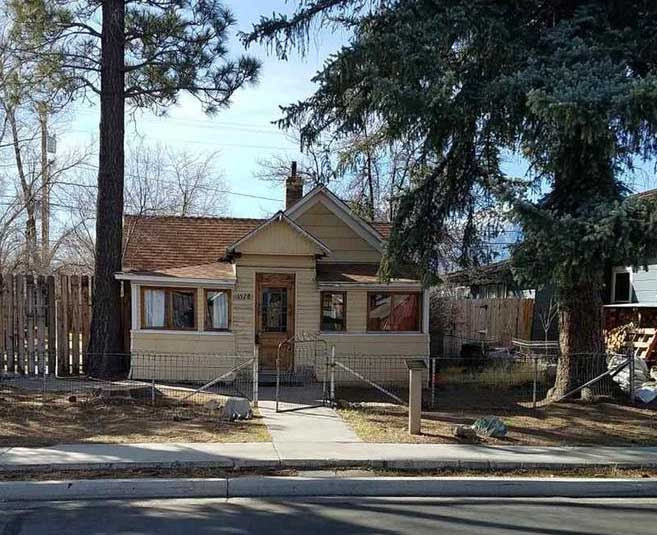 The body was discovered by a Washoe Indian seeking work who had approached the cabin. Looking in a window beside the door, he spied Doud on the floor, covered in a bloody blanket. An ax was near the body. The Indian alerted the innkeeper at Double Springs, who in turn notified the coroner. Although a generous $150 reward was posted in early 1882, no suspects were ever identified. Dean had already moved on by then, selling his Double Springs property to rancher P.L. 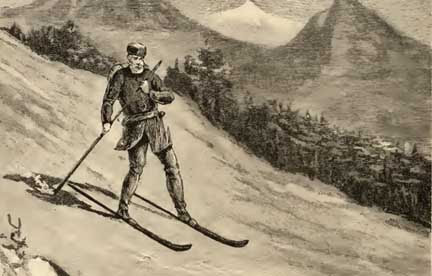 Sprague about 1865 and trudging off to new adventures — and that quirky tale (including what happened to Dean’s second wife) is next week’s story! View from Double Springs toward the west. Join us next week for Part 2 of this story — whatever became of James Dean? And in Part 3, the tale of a hidden treasure at Double Springs! Enjoyed this story? Leave us a comment below! And we love it when you share our stories on Facebook.